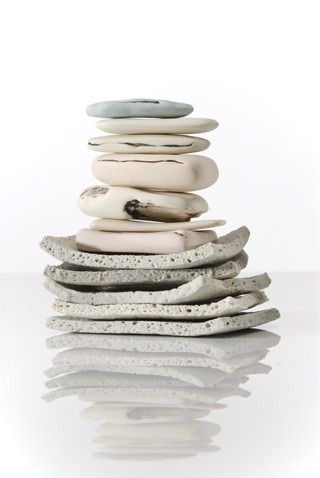 Honor is a wonderful Australian ceramicist. I had the pleasure of knowing her while I lived in Adelaide, SA, where we worked together at the JamFactory. Her quiet works make you see the ordinary things in your life in a new light. 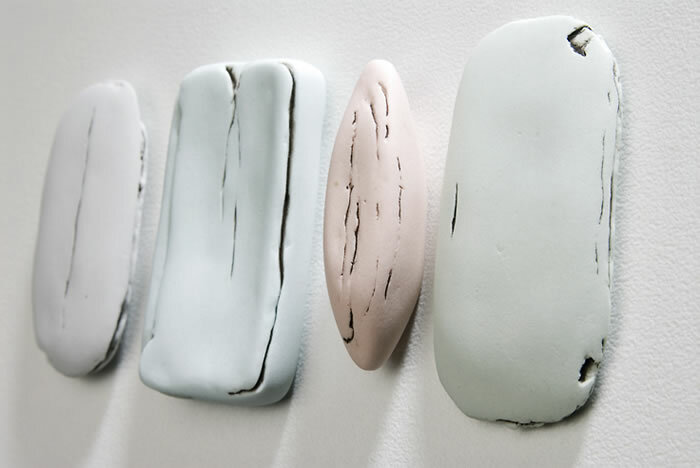 She states that – thoughts of preserving, measuring and marking time’s passing occupy the work during the making. I have one of her porcelain light switches, which I love. She used to be a sneaky street artist, sticking them around the city to confuse passers by. 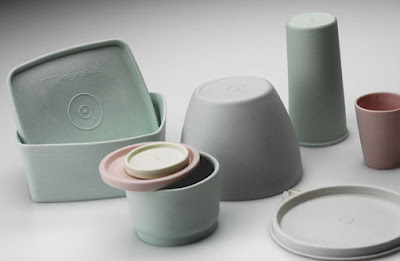 But I really love her tupperware series, which are possibly her best known pieces. Humble objects are given the spotlight with Honor. Used soaps, sponges, tea stains and tupperware – common house-hold items, never looked so good. I know she’s made a lot of work in 2012, her profile at Sabbia Gallery (where these images are from) is very informative. Although I’ve not spoken with her in many years now, I hear things with her and her newly grown family are going great. For more information about the lovely Honor – take a look at Sabbia or on the Australian ceramics website.